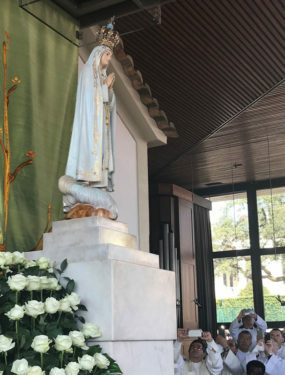 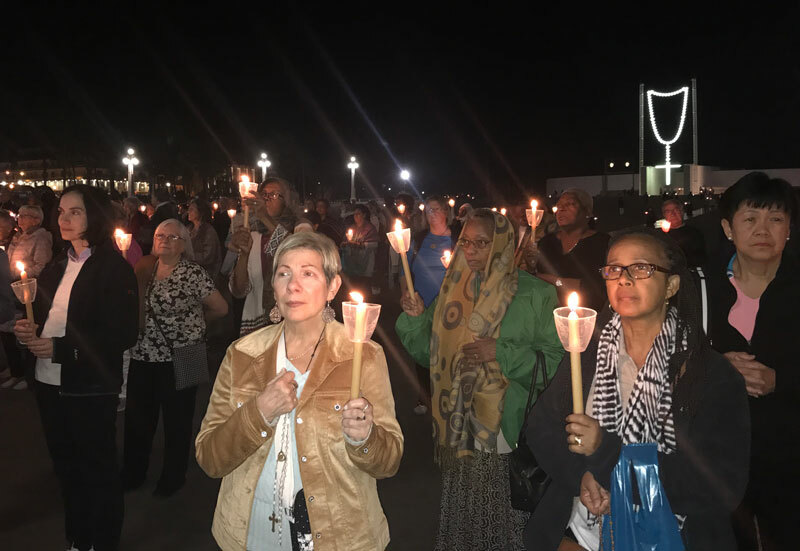 The Brooklyn delegation was in Fatima Oct. 13 for the candlelight procession that marked the 100th anniversary of the final apparition to the three shepherd children. 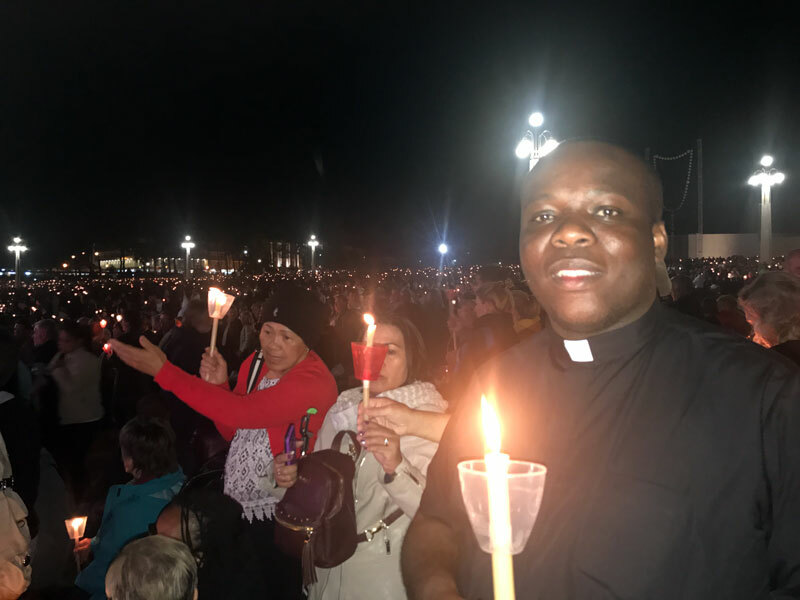 “What a great blessing to be with so many people from all over the world,” said Father Davis. 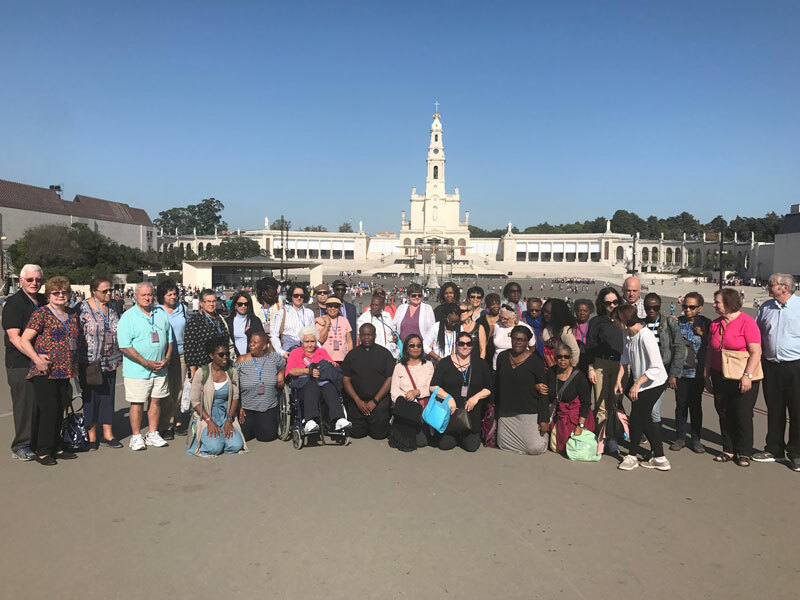 The group got together for a photo in front of the basilica at Fatima.